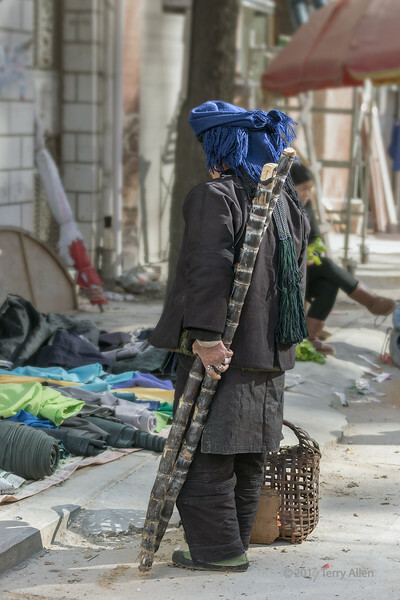 A truck had brought a large load of sugar cane to sell at the Shengcun Market and this woman was taking some home, Yunnan Province, China. Notice all the rings on her fingers. Great shot of daily life. You really have a knack for street shots Terry. I really like the capture of her focus on the fabrics at her feet. I like the rings too. Well done! Appreciation for "bling" is universal. Well captured. Hi Terry, this is great.